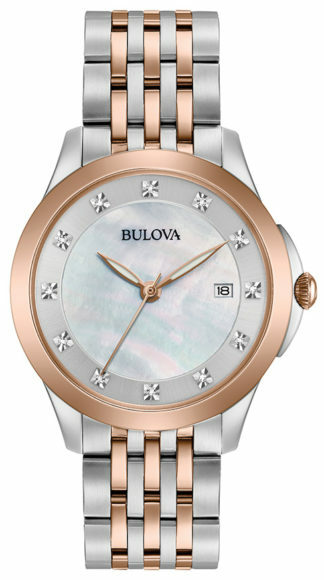 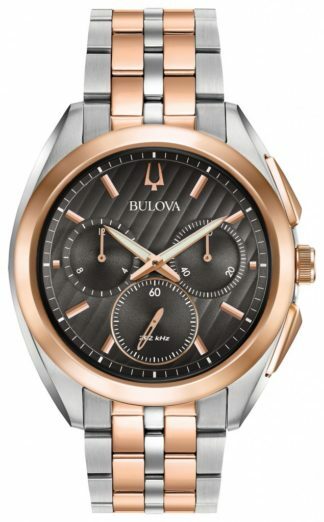 Bulova Men's Curv Chronographic Watch 97A124 from the new CURV Collection. 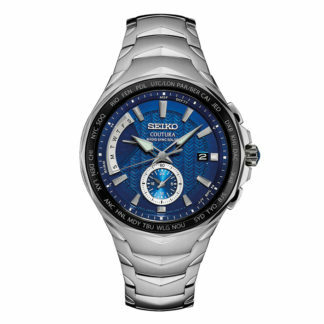 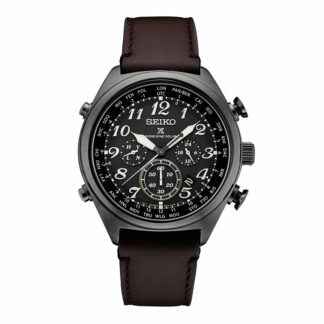 The world’s first curved chronograph movement features high- performance quartz technology with 262 kHz vibrational frequency for precise accuracy. 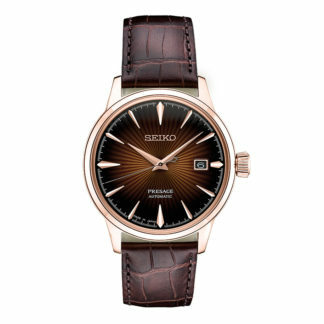 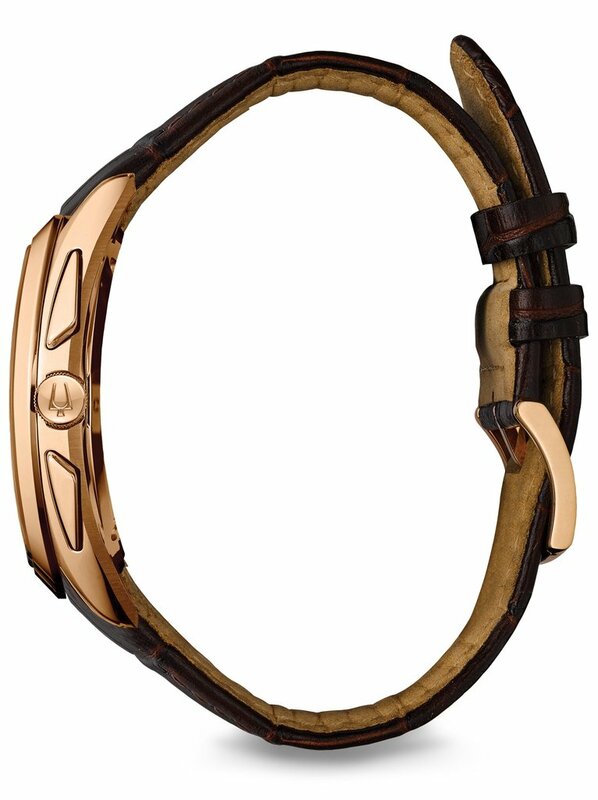 Five-hand chronograph in rose gold-tone stainless steel case and bezel, dark grey dial, curved sapphire glass, screw-back case, alligator grain dark brown leather strap with 3-piece buckle closure, and water resistance to 30 meters. 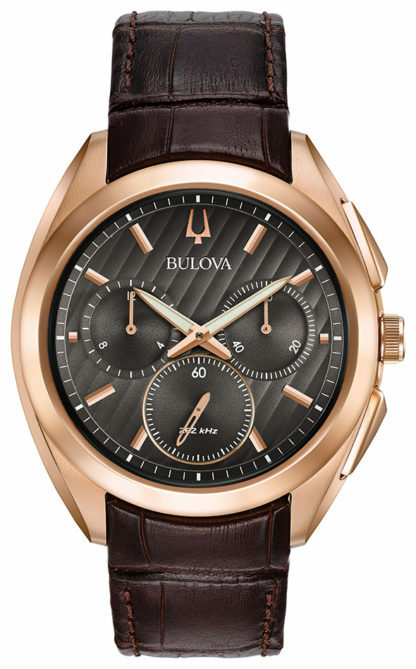 Bulova Men’s Curv Chronographic Watch 97A124 from the new CURV Collection. The world’s first curved chronograph movement features high- performance quartz technology with 262 kHz vibrational frequency for precise accuracy. 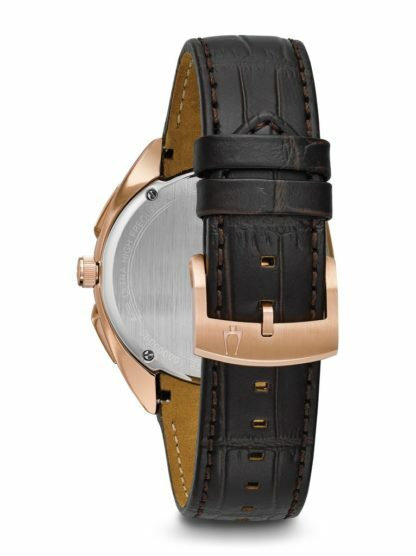 Five-hand chronograph in rose gold-tone stainless steel case and bezel, dark grey dial, curved sapphire glass, screw-back case, alligator grain dark brown leather strap with 3-piece buckle closure, and water resistance to 30 meters.